Help satisfy the operator training requirements of OSHA’s Powered Industrial Trucks Standard (29 CFR 1926.602(d) and 1910.178(l) with this program. Use it to train your workers how to choose, inspect, and operate a rough terrain forklift safely. 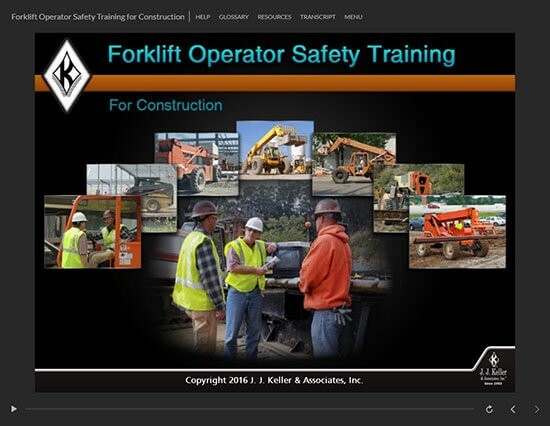 Thank you for your interest in previewing the Forklift Operator Safety Training for Construction online course. Please register or log in to watch free previews, browse the course library, purchase training points, and more.